I found this at spiritdaily.com under the heading of astronomy picture of the day. This site has some realy incredible photos with scientific explanations and all. Anyway, this photo was not altered. It was taken by a storm chaser in the right (?) place at the right (?) time. Thought you all might enjoy! 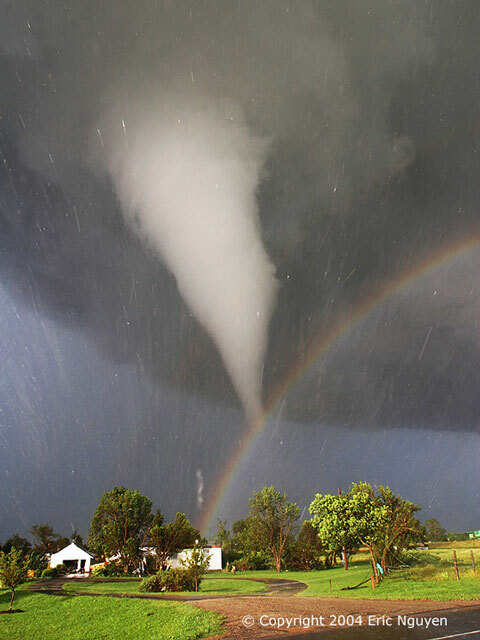 A rainbow and a tornado in the same shot. A beautiful and scary photo all at the same time! !